Massachusetts Governor Charlie Baker, center, at an event earlier this week. Massachusetts Governor Charlie Baker proposed on Thursday to legalize sports betting in the state, igniting an already smoldering debate on Beacon Hill over whether to give gamblers an additional avenue to wager their money — and over who should be able to take part in the potential new industry. Baker's proposal would allow both licensed casinos in Massachusetts and online platforms like DraftKings to build their own sports betting operations, and would limit gamblers to bets on professional sports, excluding collegiate and high school athletics, as well as Esports. The announcement came a day before Baker is due to appear before the Massachusetts Municipal Association at its annual meeting where he is expected to detail his annual budget proposal for local aid funding to cities and towns. The governor's bill would earmark the estimated $35 million in new revenue in fiscal 2020 for local aid. "Expanding Massachusetts' developing gaming industry to include wagering on professional sports is an opportunity for Massachusetts to invest in local aid while remaining competitive with many other states pursuing similar regulations," Baker said. Eight states, including Rhode Island, currently have legal sports betting, while bills have either passed or been introduced in dozens of other states, according to ESPN. 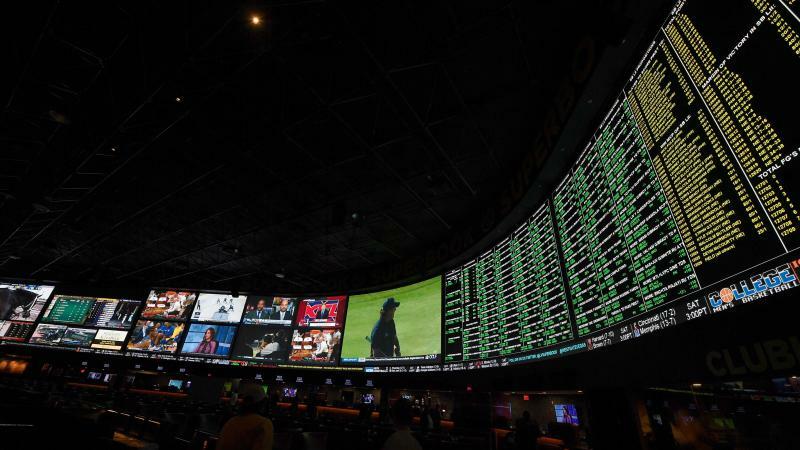 The Supreme Court last May opened the door for states to pursue sports betting when it ruled that the ban on sports betting outside of Nevada and select other places was unconstitutional. Baker put his own marker down on the issue as a number of legislators, including Sen. Brendan Crighton, Rep. Dan Cullinane, Sen. Michael Rush and Rep. Brad Hill have all filed proposals of their own to get into the sport betting market. House Speaker Robert DeLeo last year also asked Rep. Joseph Wagner to explore the issue. Baker's bill would give oversight of sports betting to the Massachusetts Gaming Commission, which would vet license applicants and enforce consumer protections, such as the prohibition on anyone under 21 from placing a bet. Existing casinos and slot parlors, including MGM Springfield, Encore Boston Harbor and Plainridge, would be eligible to apply for a license to operate sports betting lounges, and could also contract with outside vendors for online betting. Separately, under Baker's bill, online-only operators such as DraftKings could apply to the Gaming Commission for a license to host sports betting on their web platforms. The profits on bets placed in-person would be taxed at 10 percent, while online wagering profits would be taxed at 12.5 percent. Baker said he was also proposing to newly tax online fantasy sports wagering at 12.5 percent to "level the playing field." Baker, in an interview on WGBH's Boston Public Radio Thursday, said he modeled his proposal on New Jersey, where sports betting became legal last June just weeks after the Supreme Court gave states the option. "From our point of view, it's probably a conversation we need to have and we think this is a relatively responsible way to go about doing it," Baker said. In New Jersey, mobile sports betting accounted for 63 percent of the more than $1.2 billion wagered on sports in that state from June to December 2018. DraftKings, alone, accounted for 32 percent of total sports betting revenue in New Jersey, according to the company. Rhode Island opted not to include mobile platforms when it legalized sports betting last year, but the neighbor state has not realized the revenues it expected and the Senate president in Rhode Island is now pushing to add mobile betting to its law. "Legal, regulated mobile sports betting provides the best mechanism to not only protect consumers, but to eliminate illegal offshore gambling, ensure game integrity, generate new revenue for the Commonwealth and fuel the growth of Massachusetts' sports-tech sector," said James Chisholm, DraftKings director of global public affairs, in a statement. "We're hopeful Massachusetts will seize the opportunity to establish a new national model of directly licensing mobile operators this year." Some proposals floating around the Legislature, such as Cullinane's bill, would not allow mobile platforms to take part in sports betting, but instead require them to contract with a physical establishment like a casino. 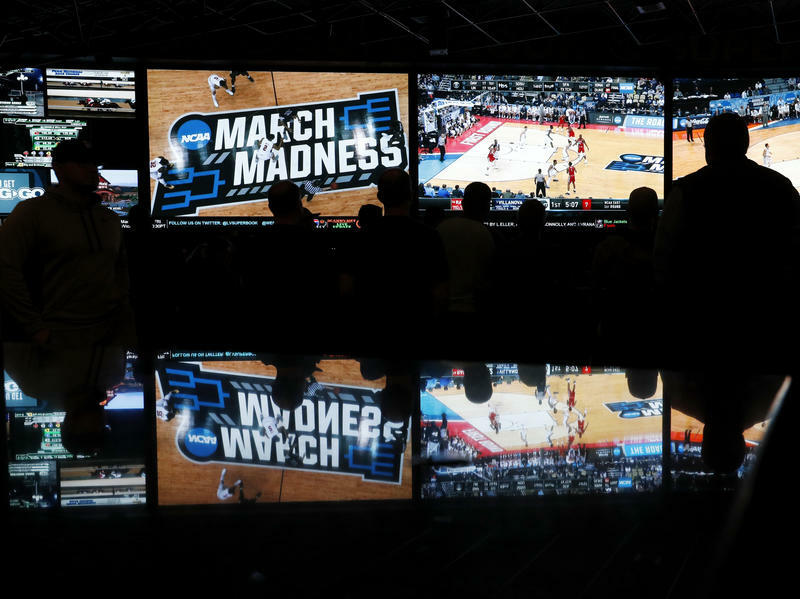 Others would allow bets on all college sports, or exempt only college athletics in Massachusetts from wagering. Cullinane has also proposed to allow professional sports leagues to collect a royalty on wagers placed on their games, which neither Baker nor Crighton recommended. "I would like to open it up to all sports. That's where we're going to get the additional funds," said Rep. Brad Hill, an Ipswich Republican who was filing his own bills to legalize sports betting. Hill said he thought the estimates of between $50 million to $70 million in revenue for the state were "actually quite low," and proposed to direct the revenues from sports betting to three separate funds for education, transportation and health insurance. Baker's bill would also require license applicants to pay a $100,000 application fee and a $500,000 license fee that would have to be renewed every five years. Now that the Supreme Court says it's OK, states are free to legalize betting on sports if they want to. As a once under-the-table economy moves into the open, it creates some large business opportunities — and the potential for millions in new tax revenues.